Using sport for community change. For more information on the background of the Active Burngreave project, click HERE. 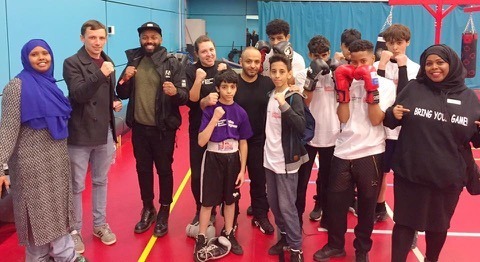 Working in partnership with Comic Relief and Sport England, Active Burngreave is an initiative to encourage more people to take part in weekly physical activity. It also uses sport and physical activity as a hook to address social outcomes such as anti-social behaviour, unemployment or community cohesion, as identified by the people in that area. Burngreave has been chosen as a focus community for this project, partially due to its deprivation data. It is Sheffield’s most culturally diverse ward, with the BME population accounting for nearly half its residents. Economic deprivation and a range of health and social issues mean that the area is ranked as one of the most deprived wards in the UK. A ‘Come and try’ activity day was held in the English Institute of Sport in November 2017, with transport provided to and from Burngreave for over 200 people. Partner organisations delivered activities including boxing, archery and table tennis. Read about it and see more videos real soon!